This is a utility package for hand/eye calibration using ros-perception/calibration. This package generates sampling poses automaticaly using euslisp robot models. calibration process has two steps. Move robot and capturing data into a bag file. Estimate calibration parameter from the bag file. And you will have calibrated urdf file. If calibration takes a lot of time, please use initial_pose.yaml. Update your system.yaml by adding initial_poses: /path/to/initial_pose.yaml. Sampling several joint angles (for example, head joints). Sampling distance from camera to checker board. Sampling agnles around x, y and z axis of checker board. Solve ik toward target coordinates of checker board. ros calibration software is not designed to handle multiple joint states. 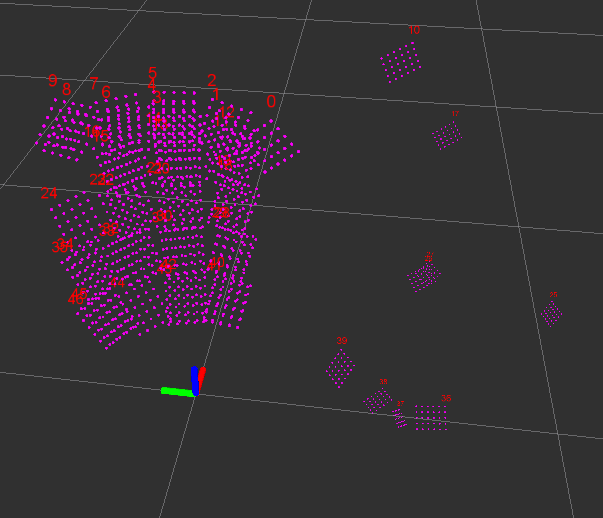 On the other hand, several robot has multiple joint states, it is that several nodes publishes /joint_states. In order to resolve this mismatch, joint_states_appender subscribes /joint_states and append multiple joint states and publish it into /joint_states_appended. non_free_arms.yaml     // 3. 2. with head-yaw offset ??? [jsk_calibration] Add joint_states_appender.py to handle multiple joint_states in calibration time. use least rpy angle for compatibility? [jsk_calibration] Fix :write-initial-pose-yaml by Yohei\'s patch.